Liverpool was fortunate but three points is three points. Anfield was rocking today as Liverpool took on Tottenham. A pivotal game to the Premier League title race, Manchester City took back the lead yesterday following a 2-0 win over Fulham and Liverpool needed to answer to remain ahead, especially since Liverpool has a game in hand. 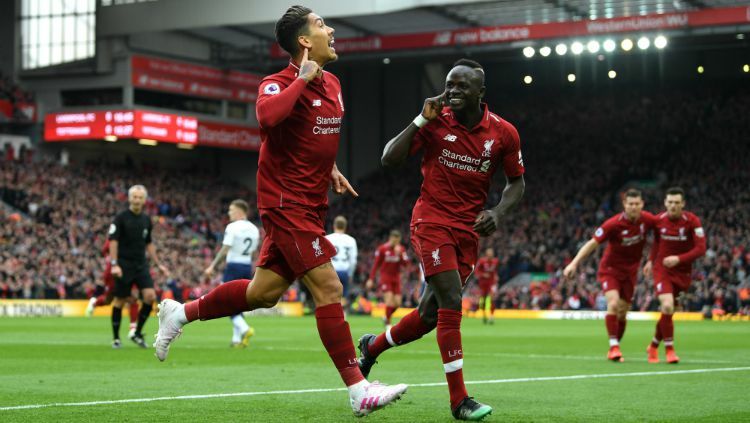 It wasn’t easy and it took a couple mistakes by Tottenham but Liverpool got three points and is a point ahead of Man City for the top spot. Things began with Liverpool being completely in control. They had possession and was solidly keeping that possession in the attacking third. Tottenham tried to keep up but just kept falling short as Roberto Firmino took the lead in the 15th minute. An exquisite curling cross by Andrew Robertson ball got to the head of Firmino to get Liverpool on the board. Liverpool stayed in control but they just weren’t able to double their lead. Even at 1-0 down, Tottenham never gave up and slowly gained control. By halftime, it became a game and when both teams came back for the second half, it seemed inevitable an equalizer was coming. Liverpool tried to hold on with a bit of desperate defending but thanks to Lucas Moura, Spurs got that equalizer in the 70th minute. With time running down, Liverpool was throwing anything and everything trying to get the go-ahead goal. Then in the 90th minute, Trent Alexander-Arnold sent a one touch cross right to Mohamed Salah who headed it to goal. Hugo Lloris failed to get control of the ball, the ball bounced off of Toby Alderweireld and what seemed like an eternity, slowly rolled across the line. Along with the Everton winner, Liverpool has a flair for the dramatics in capitalizing off of mistakes to win late. This isn’t something to rely on every week but it’s three points for Liverpool and they’ll take that however they get it because Manchester City is not letting up. As for Tottenham, once an underdog contender for the title, are now third but are just inside the top four by one point. And considering United has been on a roll and Arsenal is equal in goal differential, Tottenham will hope their new stadium gives them the momentum to get over the line and get a Champions League spot.